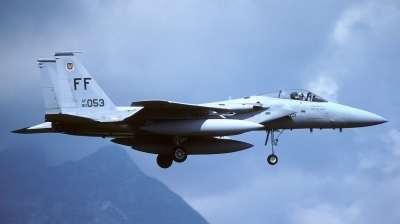 One of the four 94th TFS/1st TFW Eagles visiting that day. They were on TDY at Bremgarten (then West Germany) under Coronet Mohawk exercise. 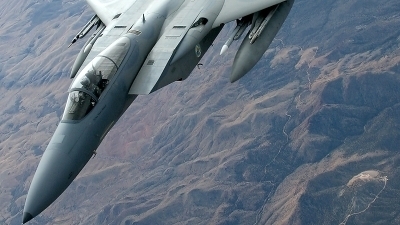 They have been the only FF tailcoded F-15s ever seen at Aviano. 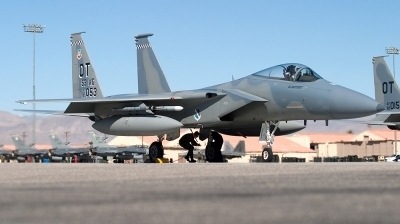 Eglin based 53rd Wing commanders Eagle undergoes last minute checks at the Nellis EOR before flying a Red Flag mission.